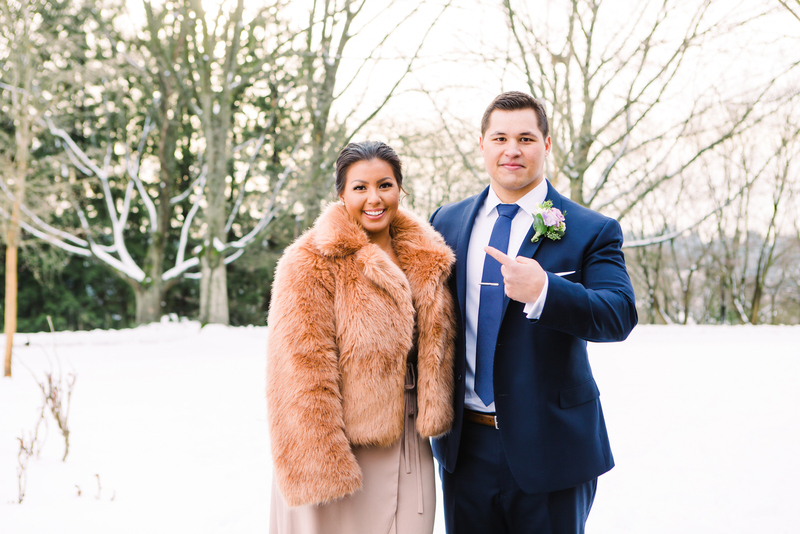 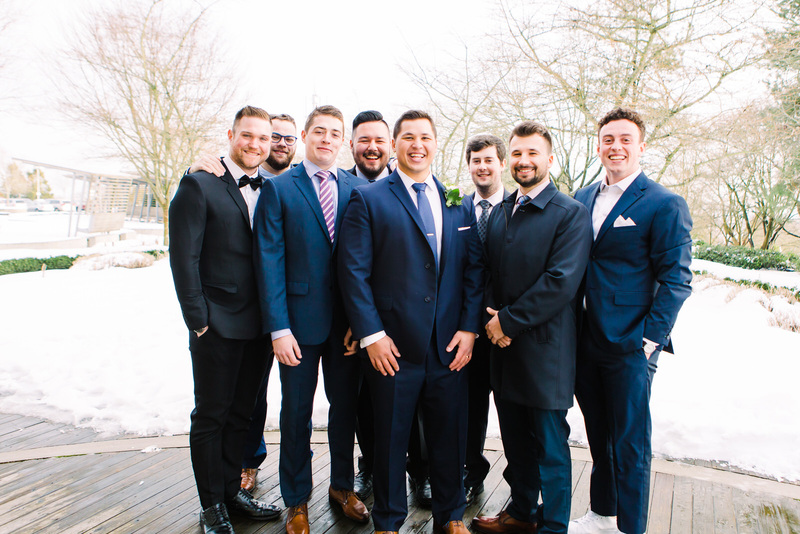 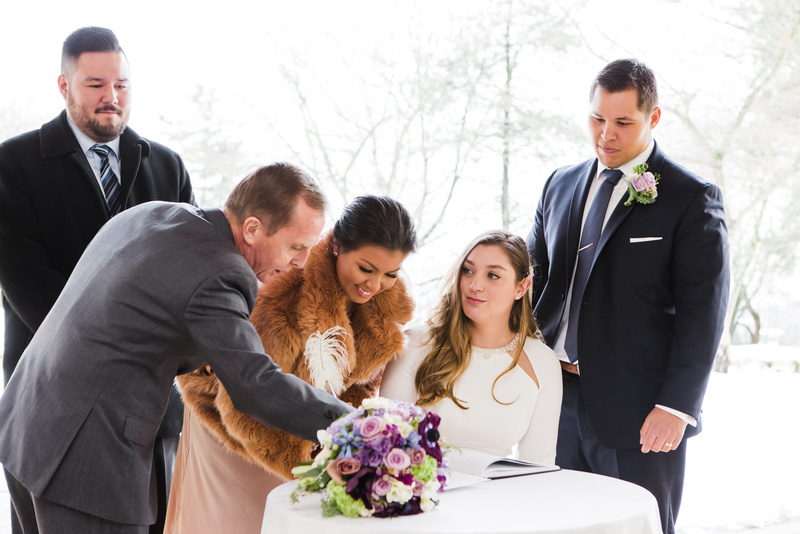 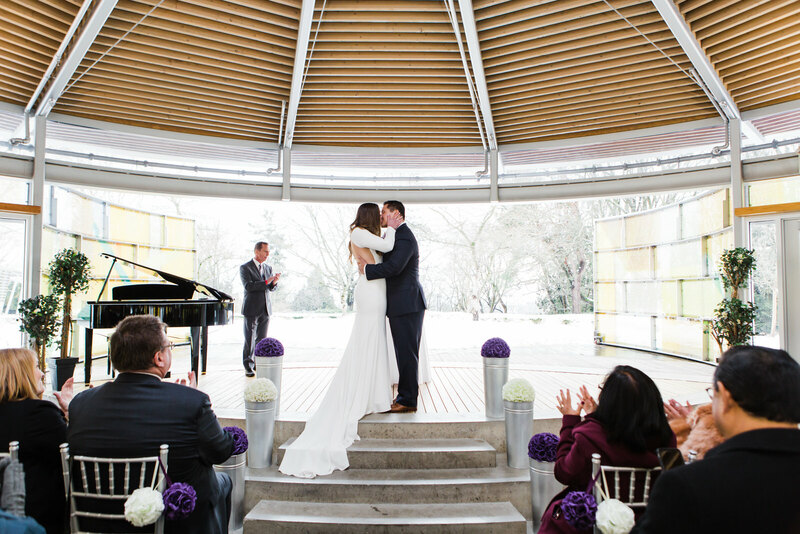 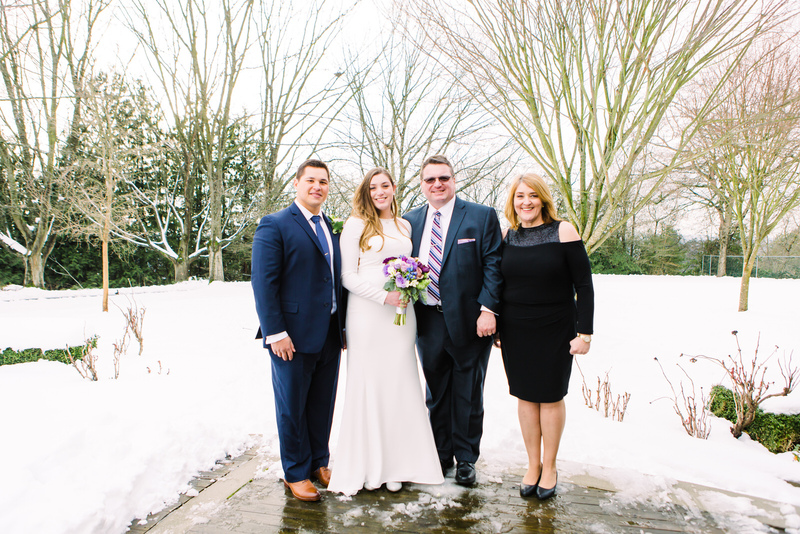 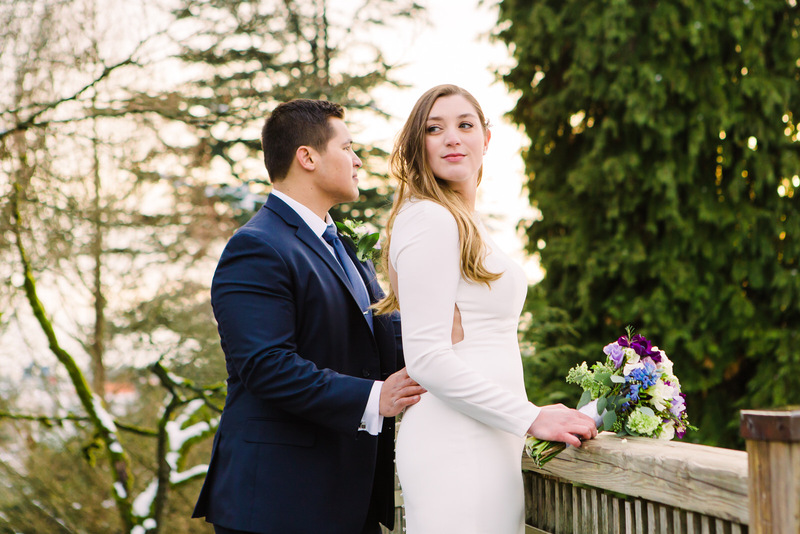 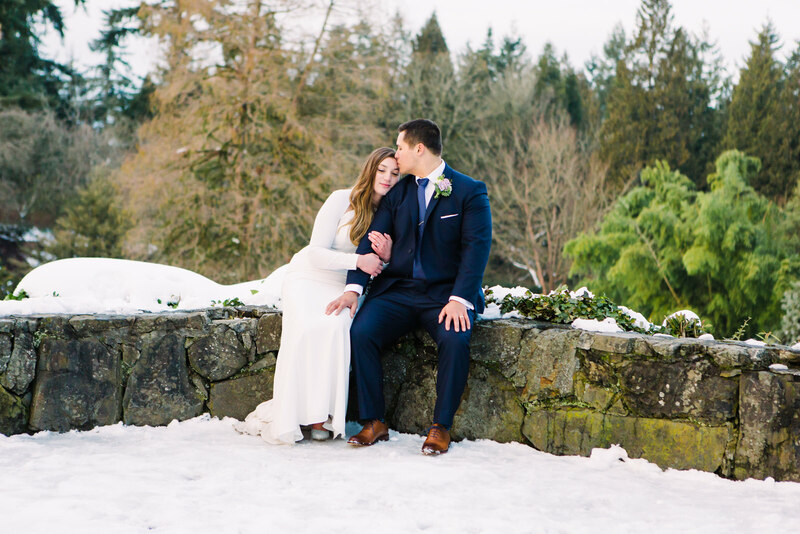 Are you getting ready for a Vancouver winter wedding in 2019? 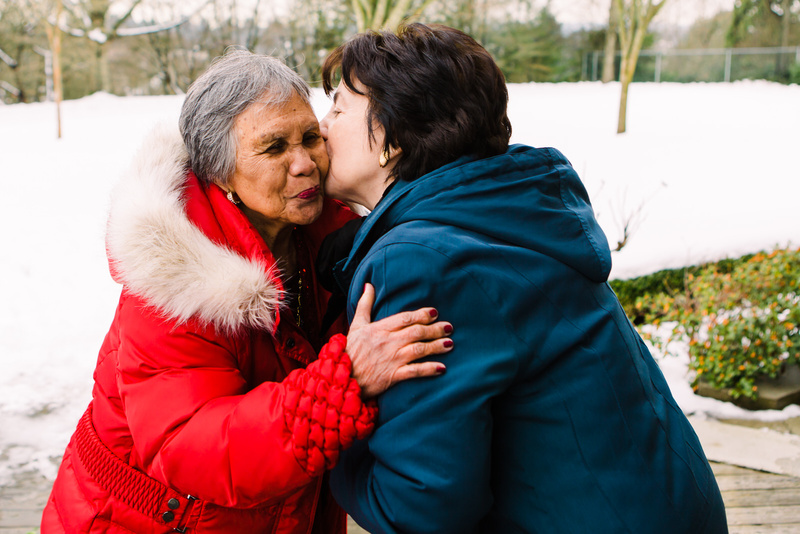 While the day may be cold, the hearts are always warm. 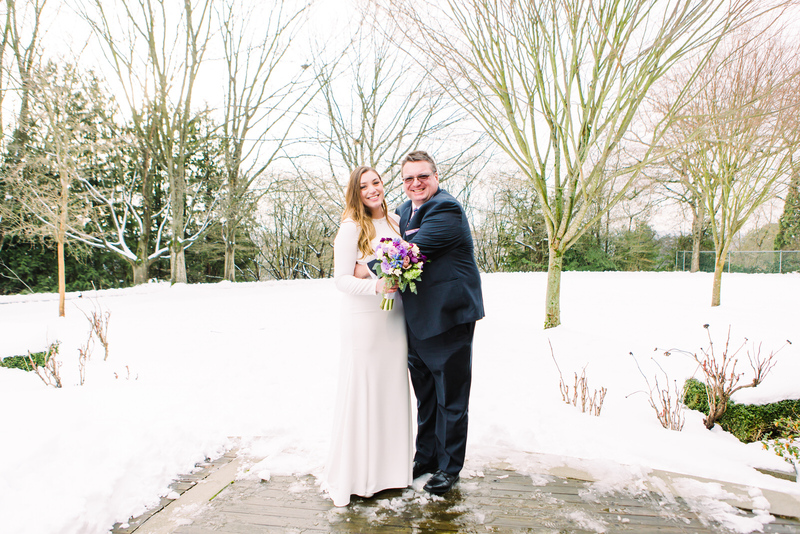 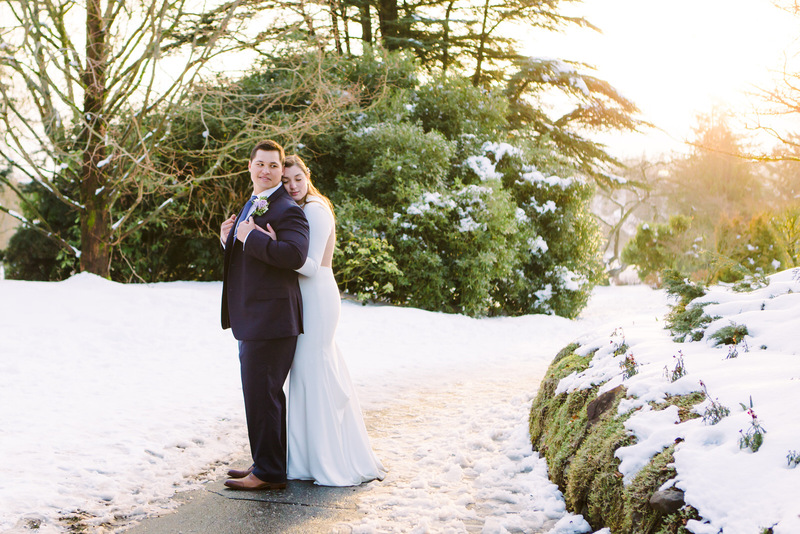 And, if next year is anything like 2018, you just might have a true winter wedding with a dusting of snow, like Lisa & James did. 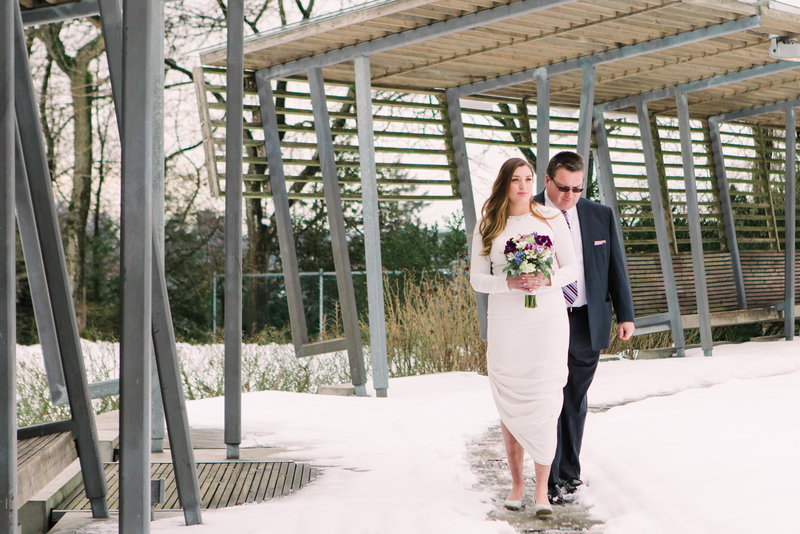 We approached the venue at Queen Elizabeth Park and saw kid’s flying down the short but slippery slope. 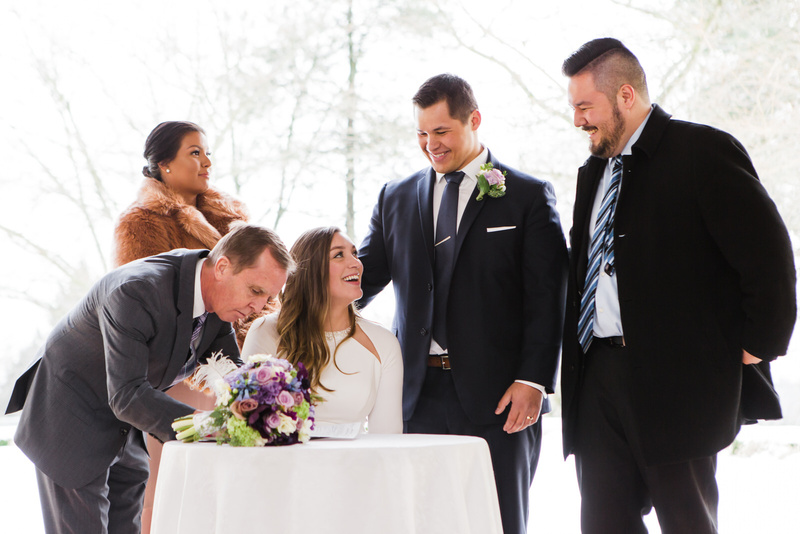 I mused at the thought of stealing a crazing carpet so that we could all take turns. 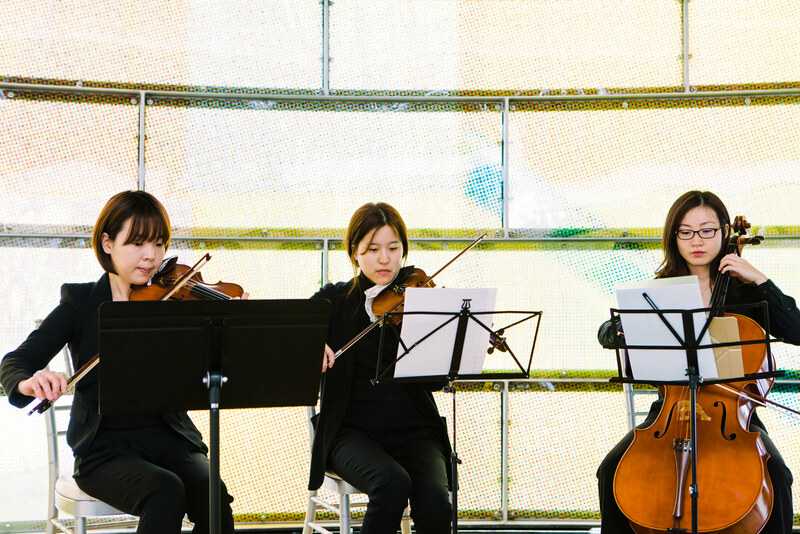 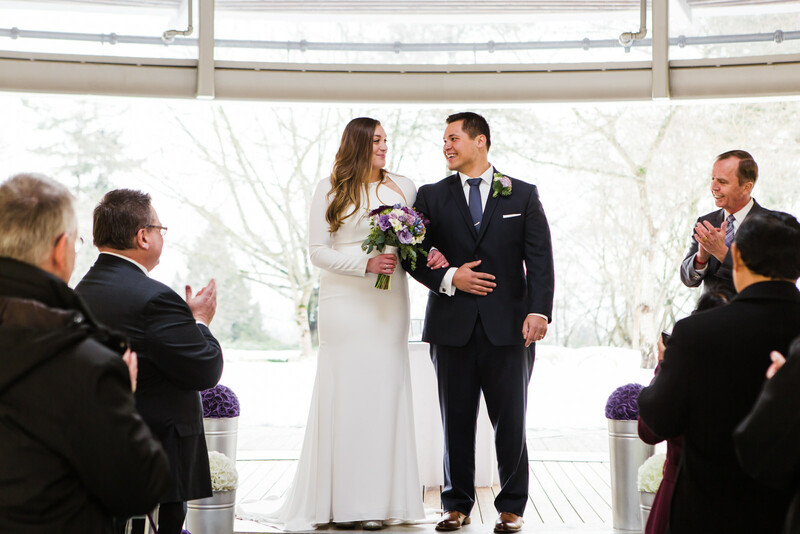 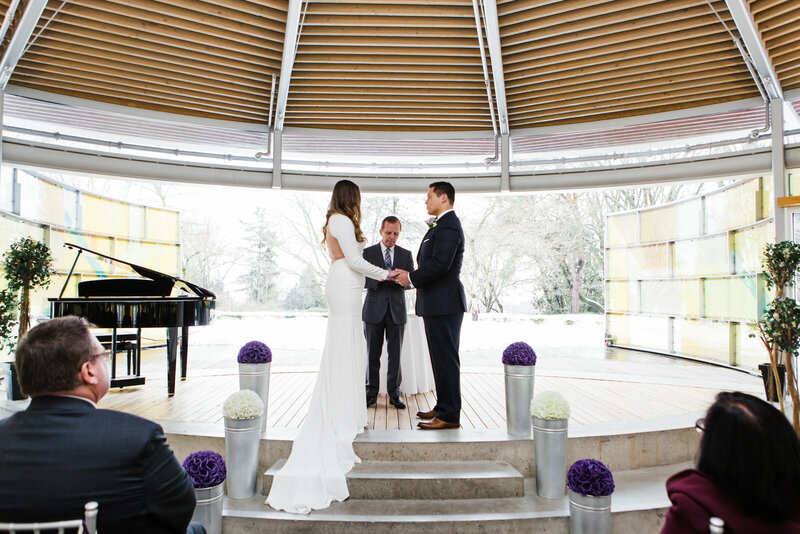 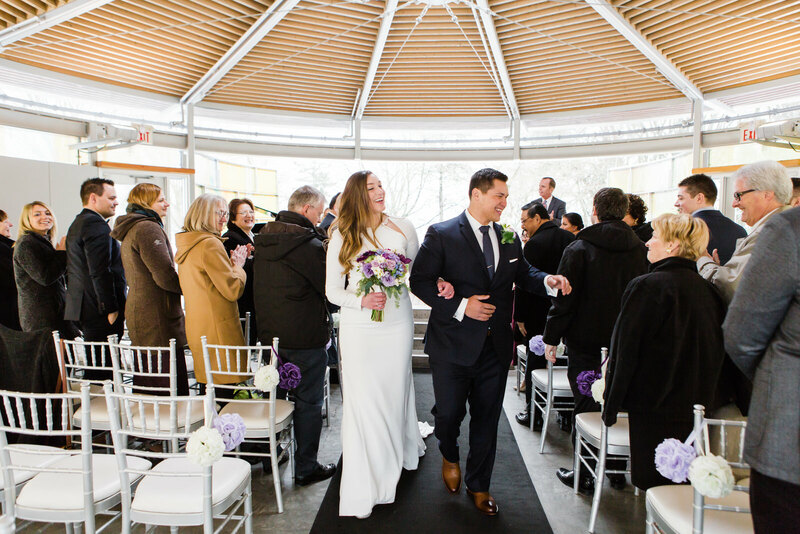 Undeterred by the cold, the Chapel opened their doors for an incredible backdrop to the wedding vows. 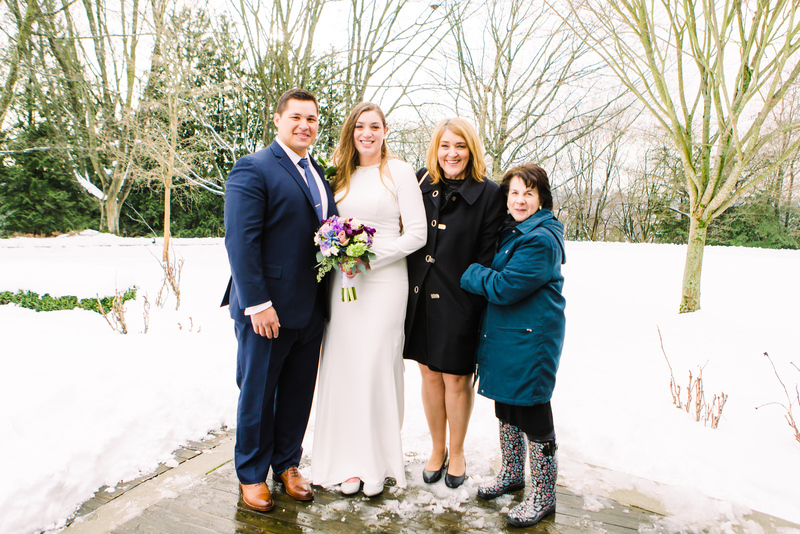 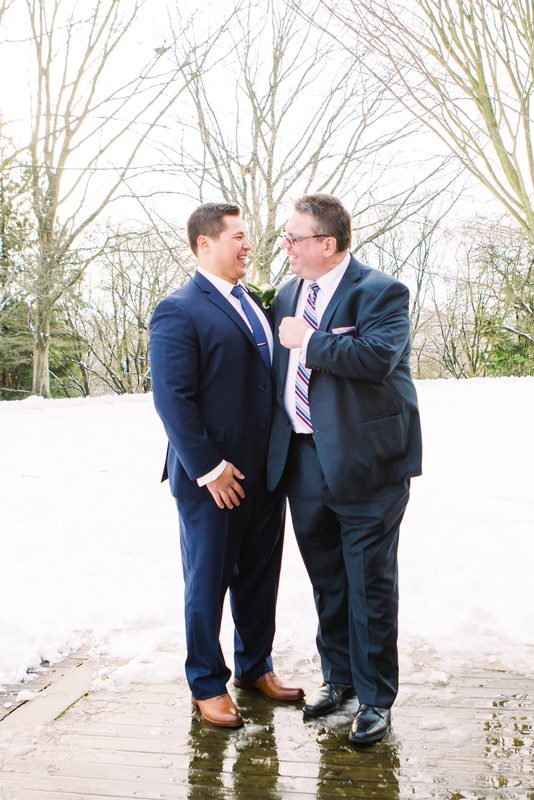 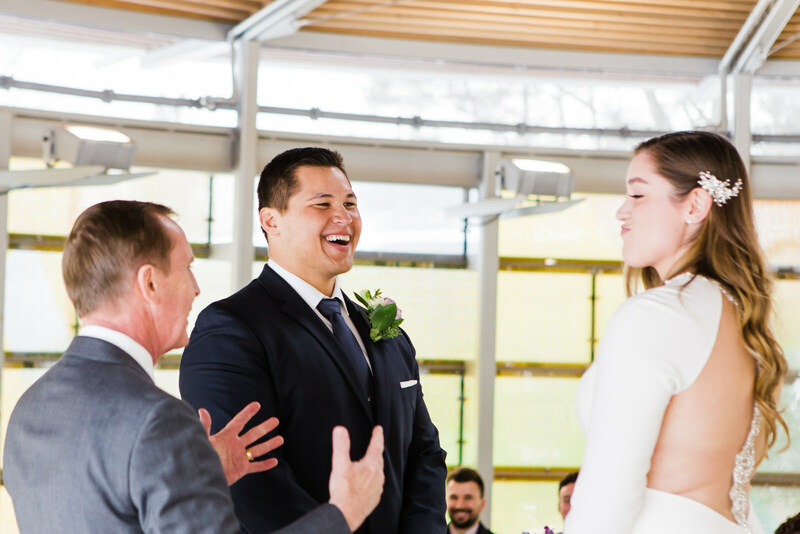 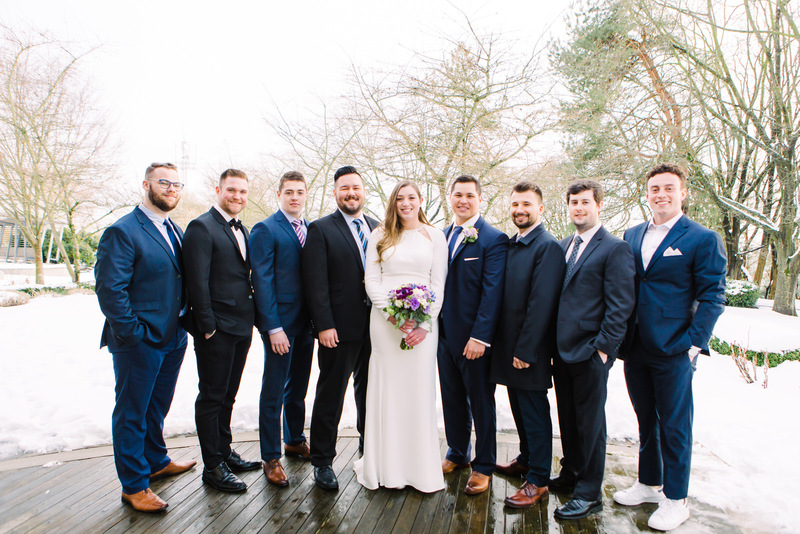 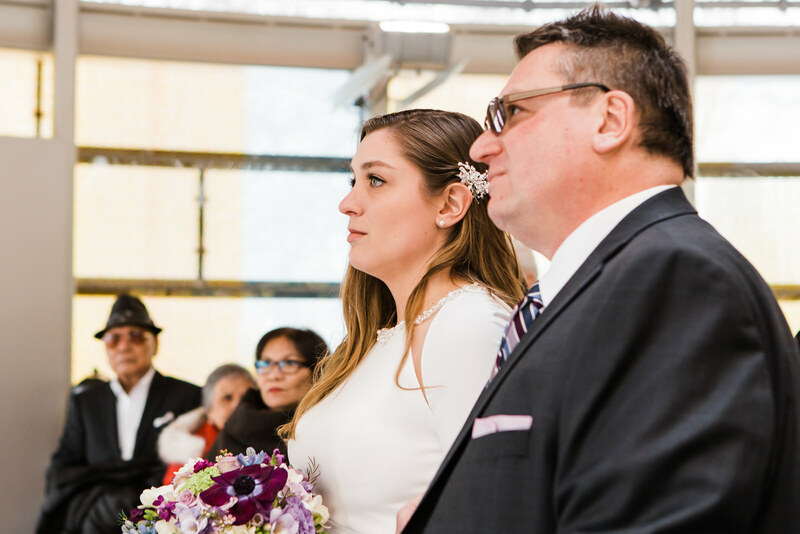 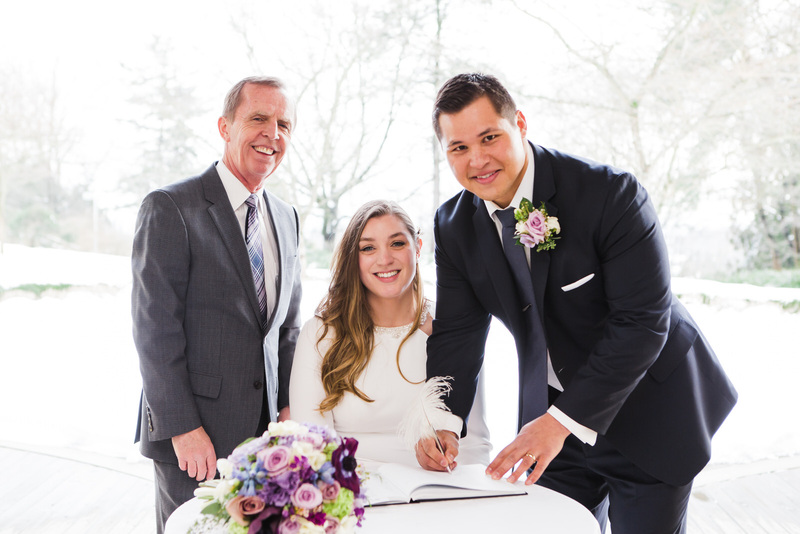 And, a few friends and family gathered to celebrate and encourage this couple that had been together since they were teens – high school sweethearts brought together through their love of rugby. 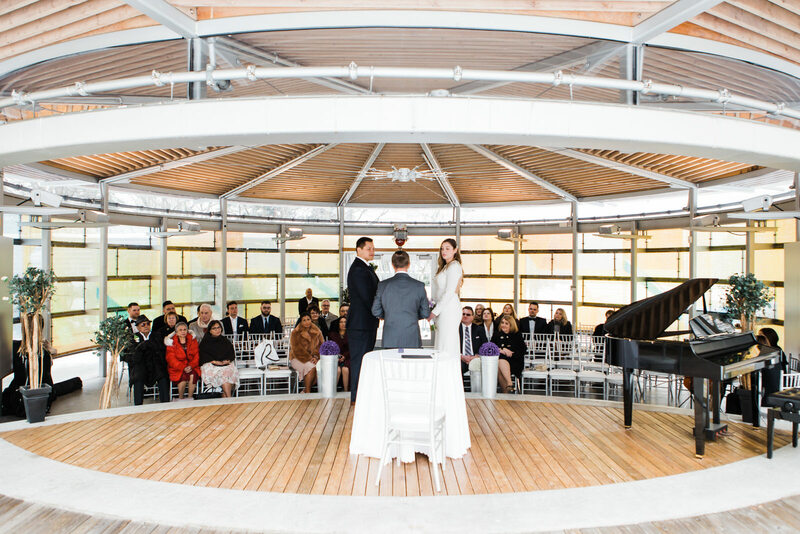 I love and admire a bride and her groom when they select smaller venues and even smaller crowds. 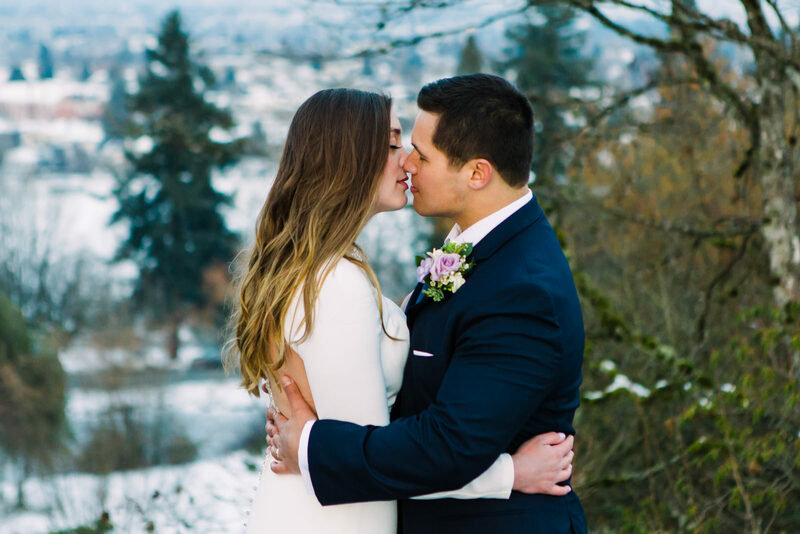 It makes the day feel intimate, laid back and completely wonderful. 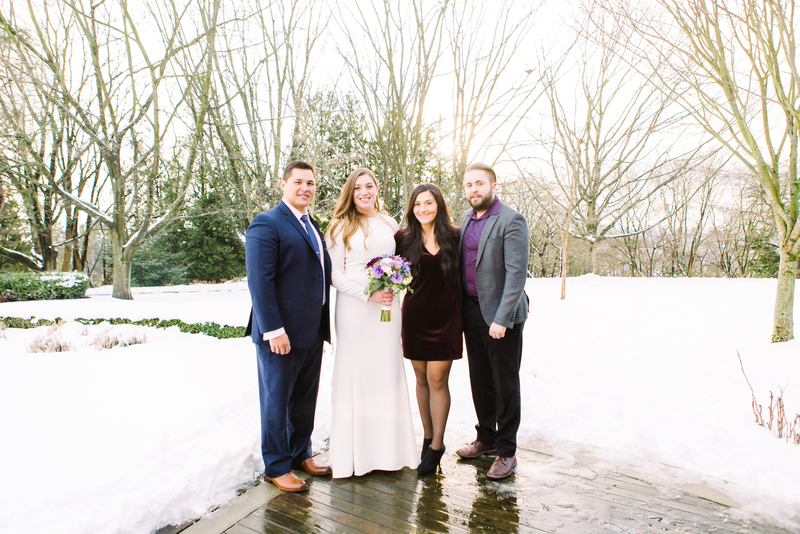 Lisa and James are kind and sweet. 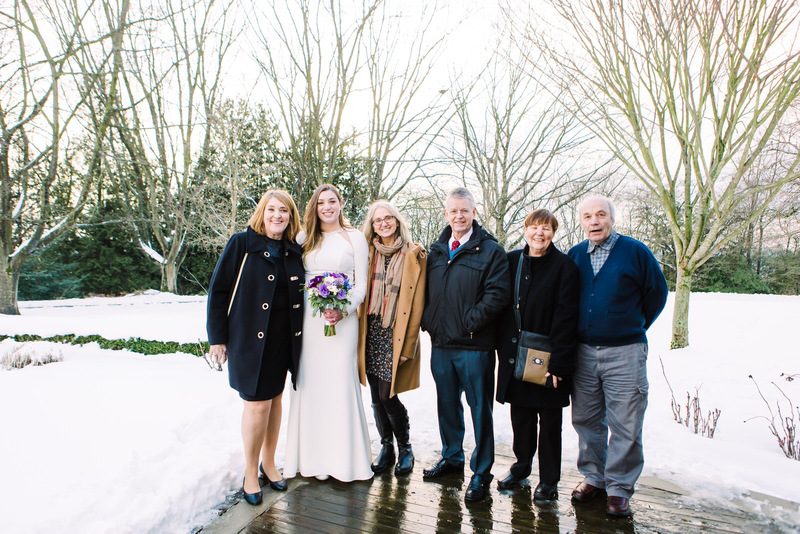 So, as one might expect their families were too. 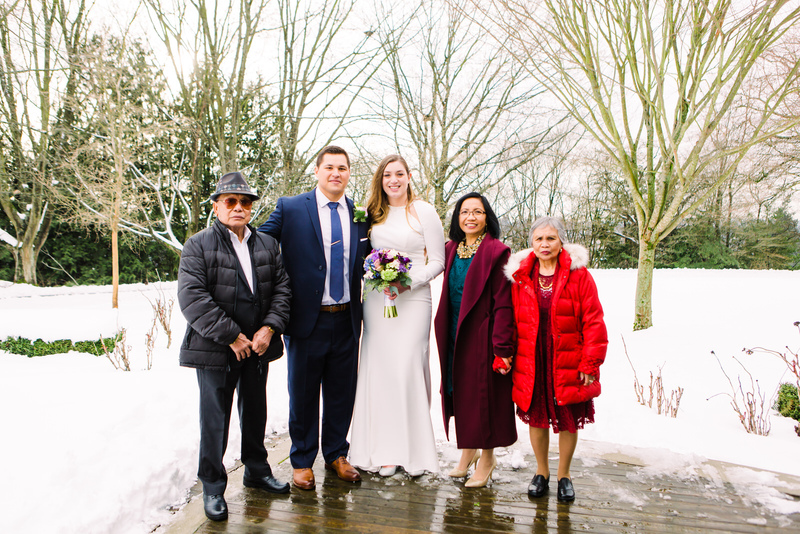 James’ grandpa was stylin’, and both their grandmothers came together for a quick adorable kiss on the cheek. 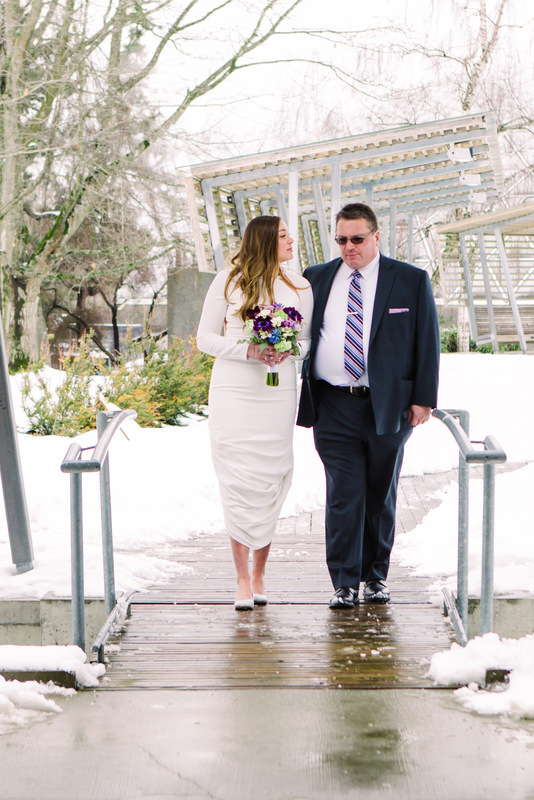 One of my favourite photos shows a little dirt on the train of Lisa’s dress. 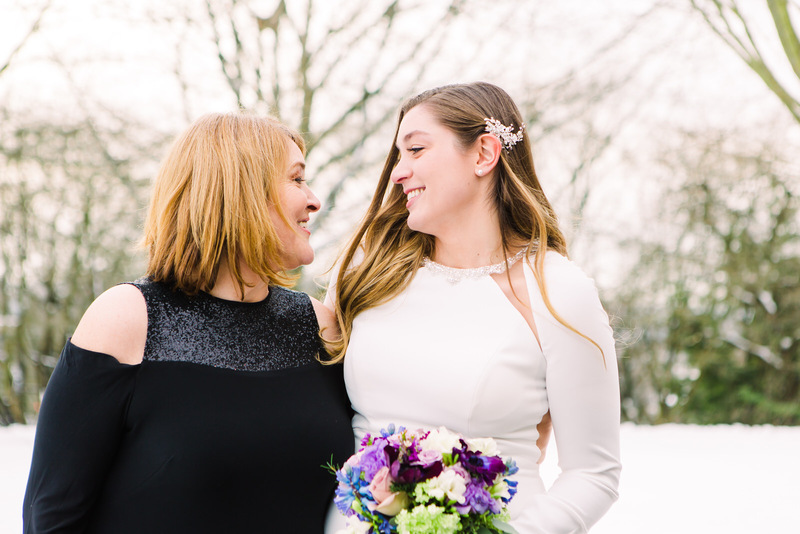 It’s a sign that she knows life can be messy, but she’s willing to embrace it and still move forward. 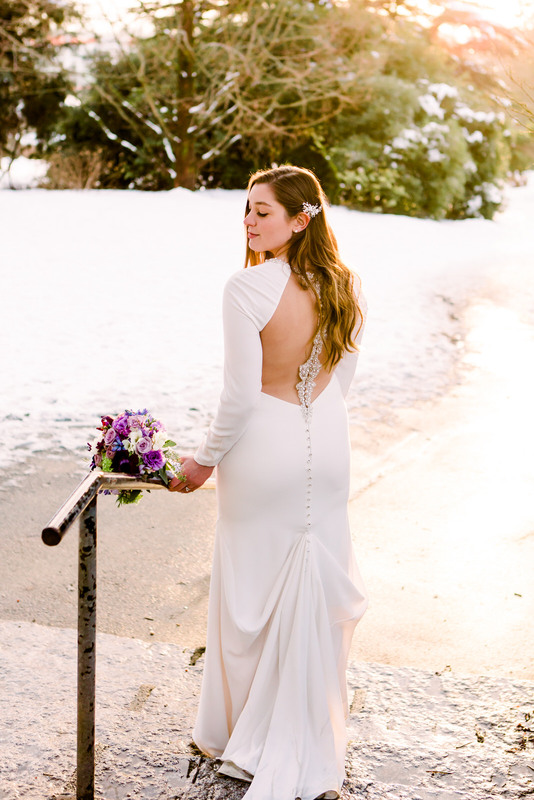 Let’s face it, it’s hard to keep a wedding dress pristine. 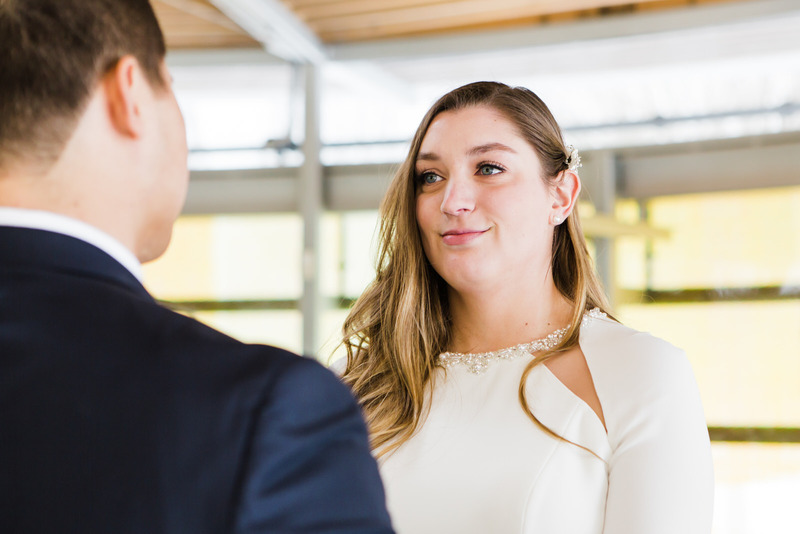 Did you just get engaged? 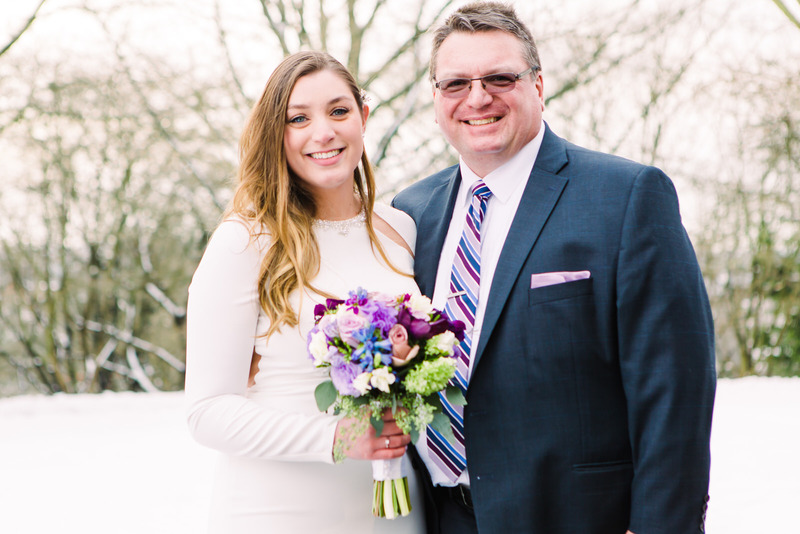 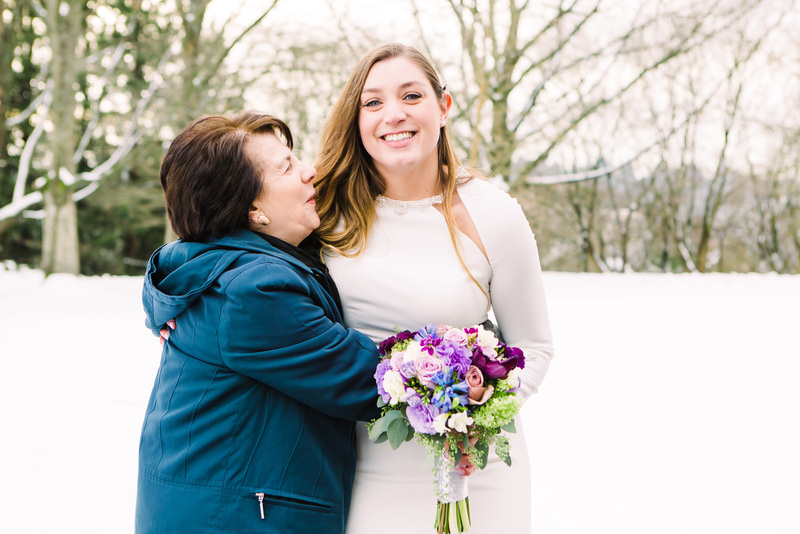 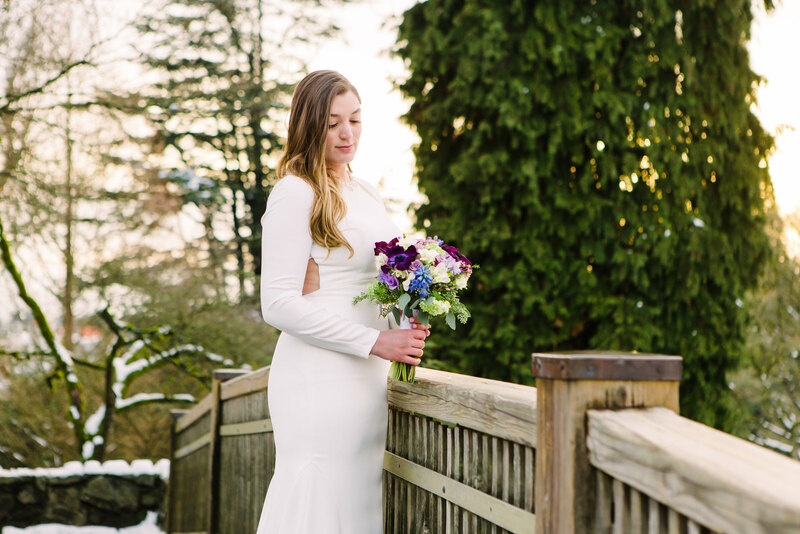 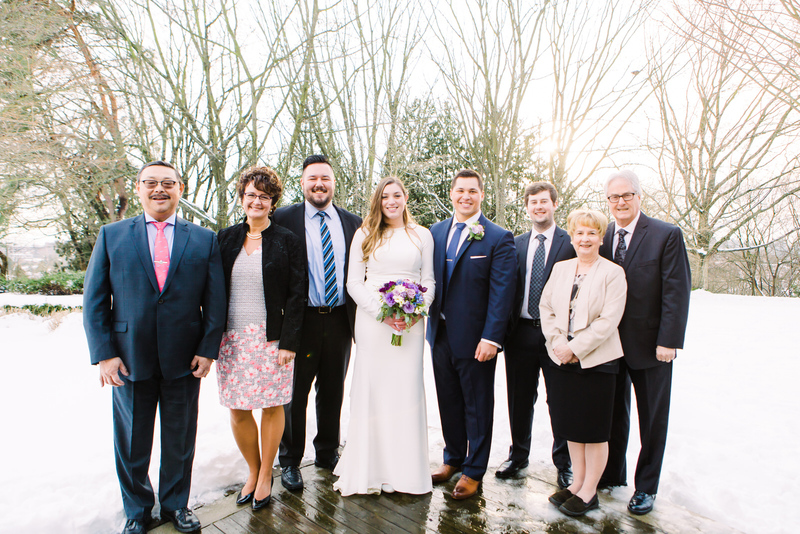 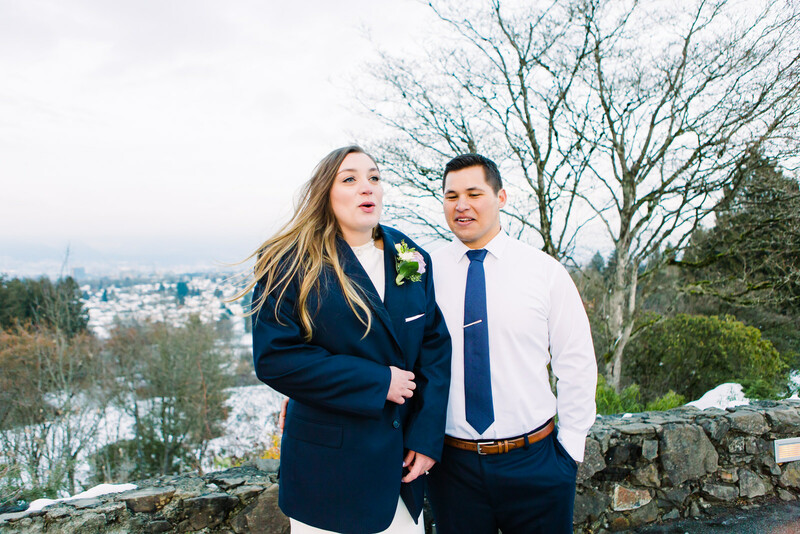 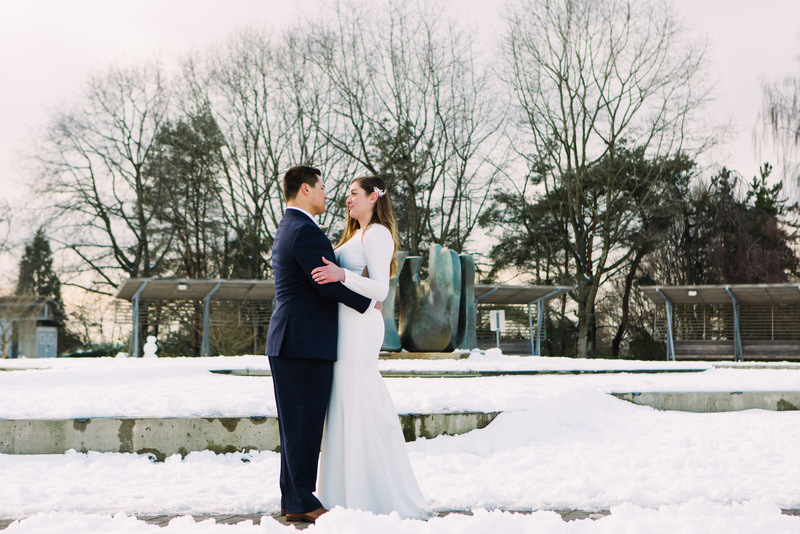 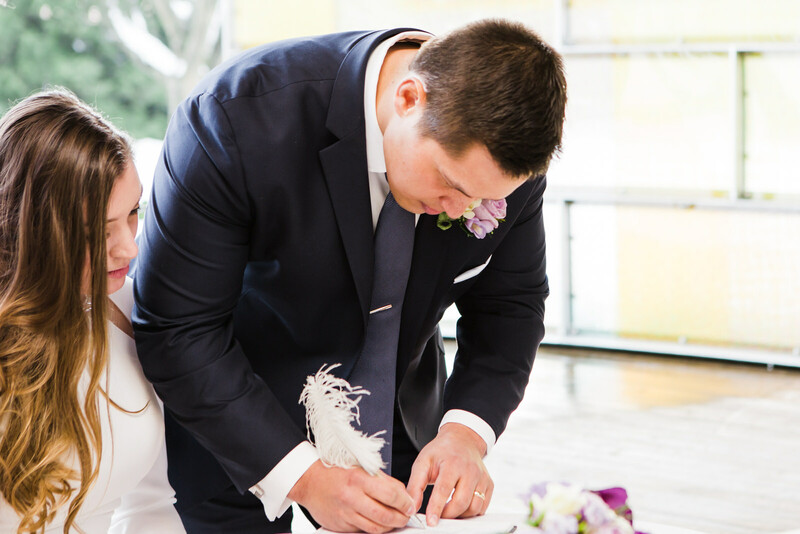 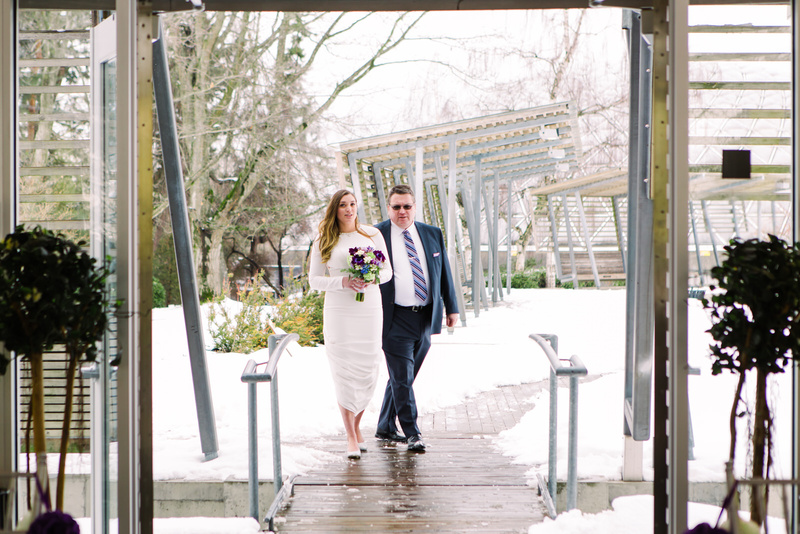 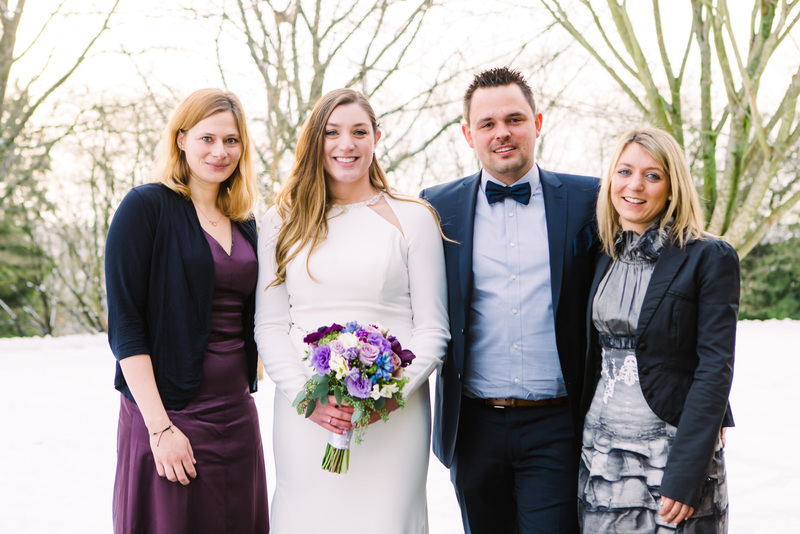 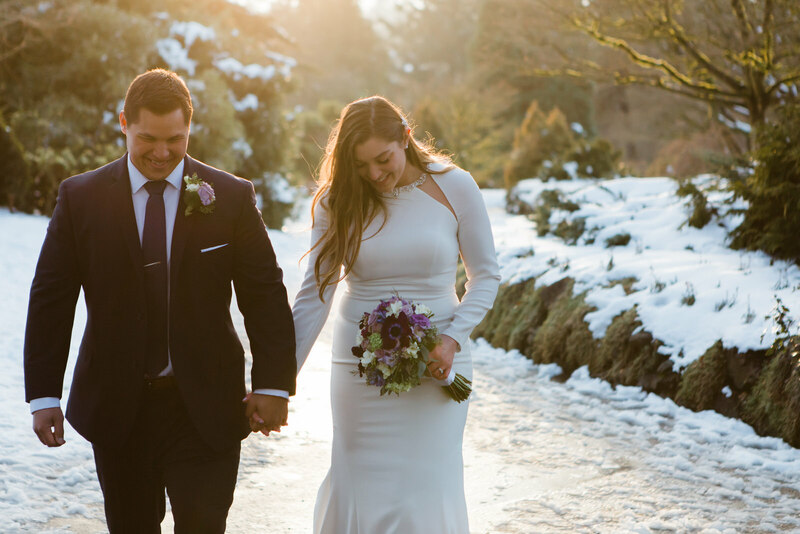 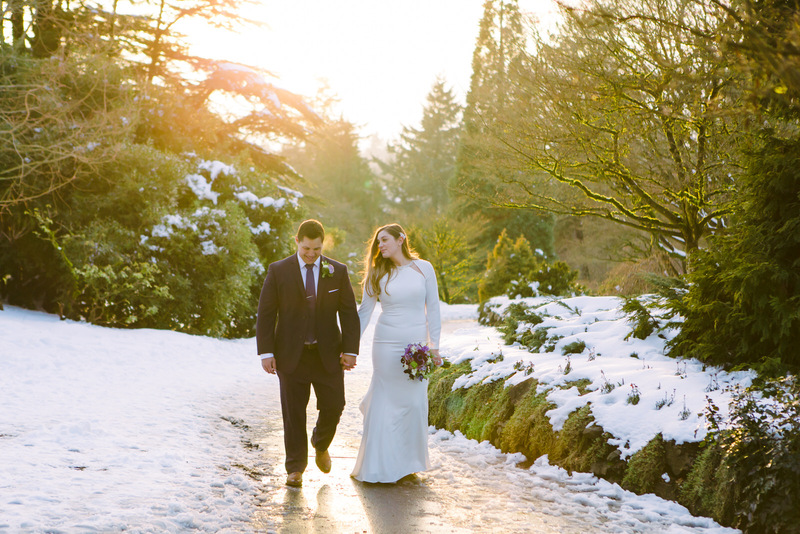 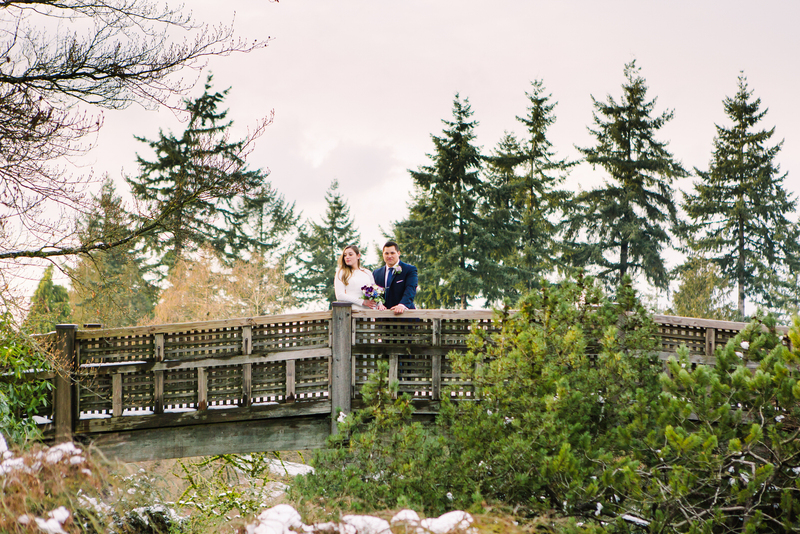 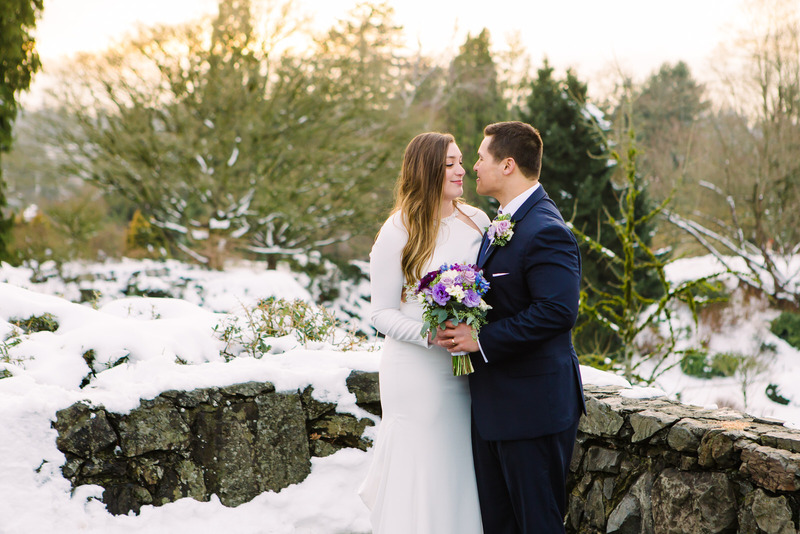 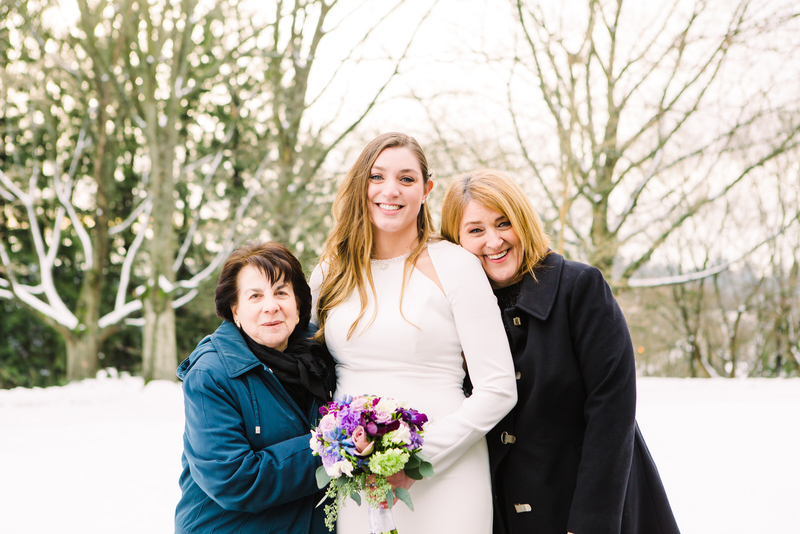 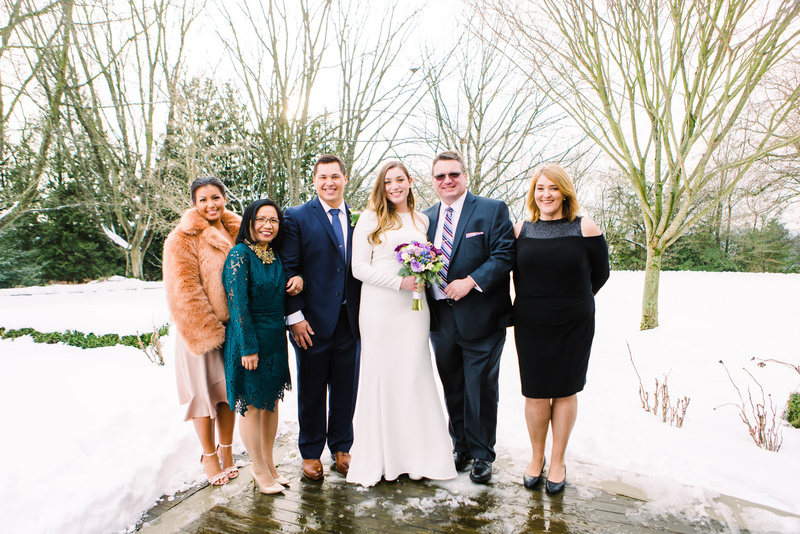 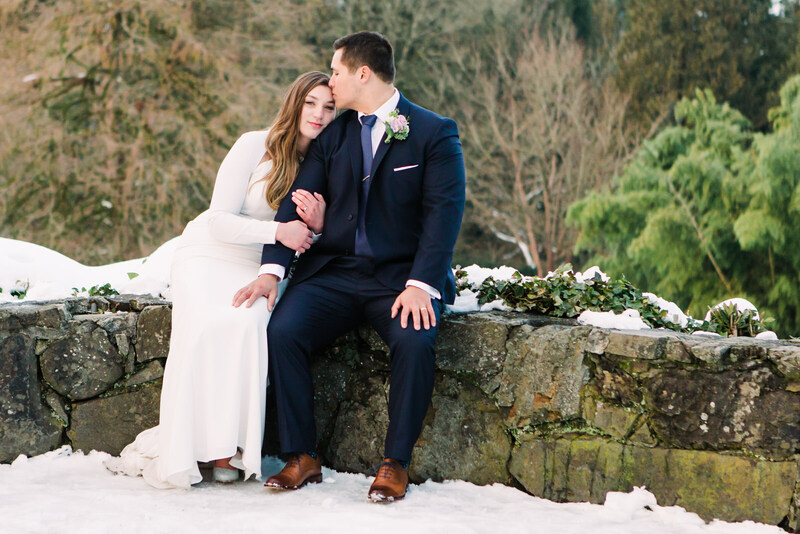 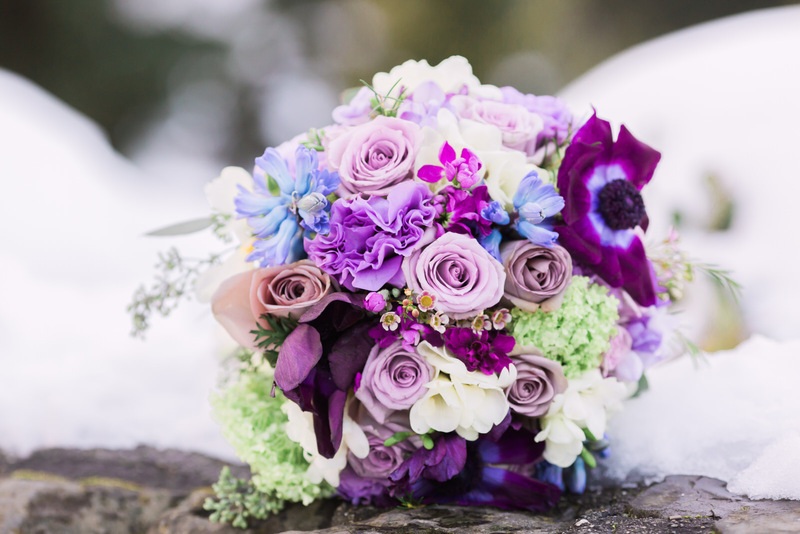 Are you planning a Vancouver winter wedding in 2019? 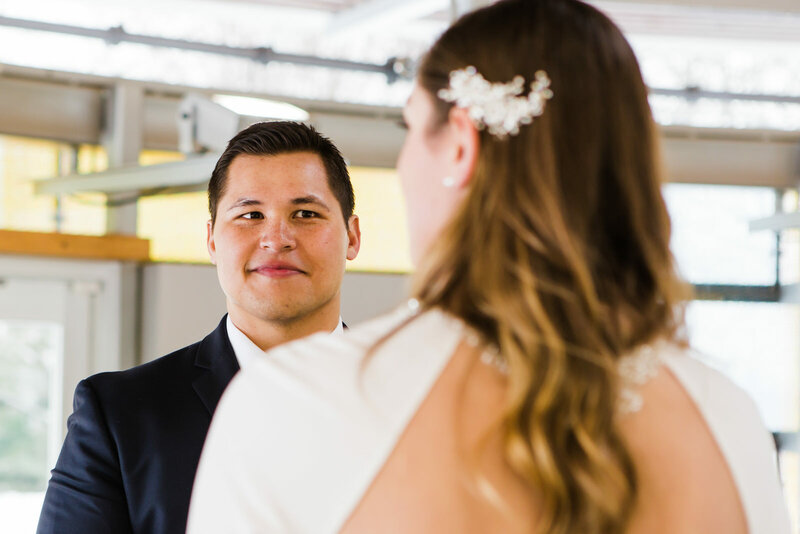 Give me a shout to chat about my wedding photography style and pricing.